Home→Uncategorized→Exclusively for Kim and Rory Fans! 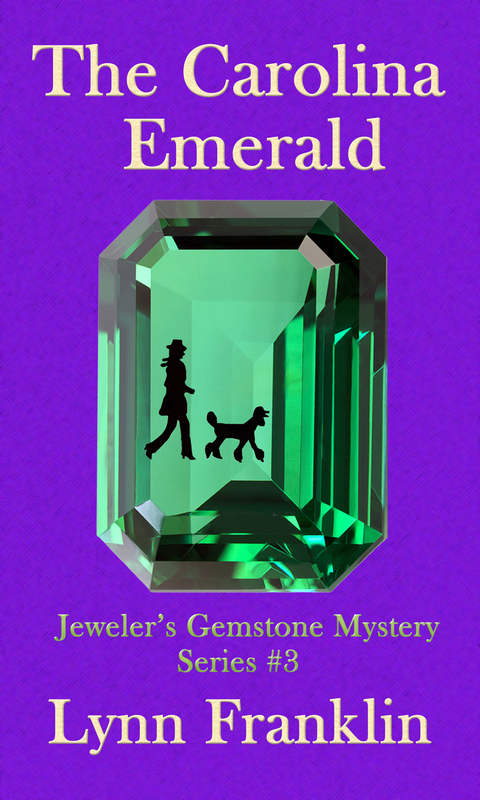 By popular demand, the Jeweler’s Gemstone Mystery Series is now available in quality paperback. The new quality paperbacks are 6″ x 9″ in size with oversize type. And to thank my readers for helping to make the launch of The Carolina Emerald such a success, I am holding a drawing for a free signed paperback. Easy. Email me at Lynn@LynnFranklin.com and request my “Gems to Go” packet. What is a “Gems to Go” Packet? A purse-sized packet of bookmarks, descriptive postcards and ideas for sharing your love of Kim and Rory with others. Just be yourself. Give a free bookmark and postcard to people you meet who might enjoy the Jeweler’s Gemstone Mystery Series. How to I obtain a “Gems to Go” packet? Send your snail mail address to me at Lynn@LynnFranklin.com. 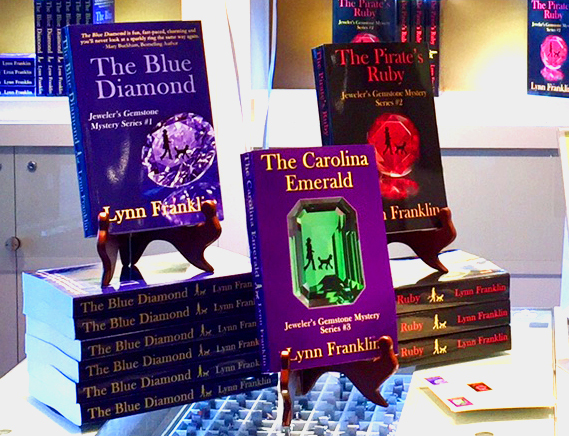 Every person who requests a “Gems to Go” packet will be entered into the drawing to receive a free, autographed paperback edition** of The Blue Diamond, The Pirate’s Ruby OR The Carolina Emerald – your choice. Of course. The drawing will be held on July 8, so to enter, you’ll need to request your “Gems to Go” packet before then. Didn’t you know? July 8 is National Town Criers Day. Before newspapers and the internet, town criers delivered all the news that was fit to print . . . er . . . hear. So what are you waiting for? Email Lynn@LynnFranklin.com to request the “Gems to Go” packet. Be sure to include your snail mail address and you will automatically be entered in the drawing. 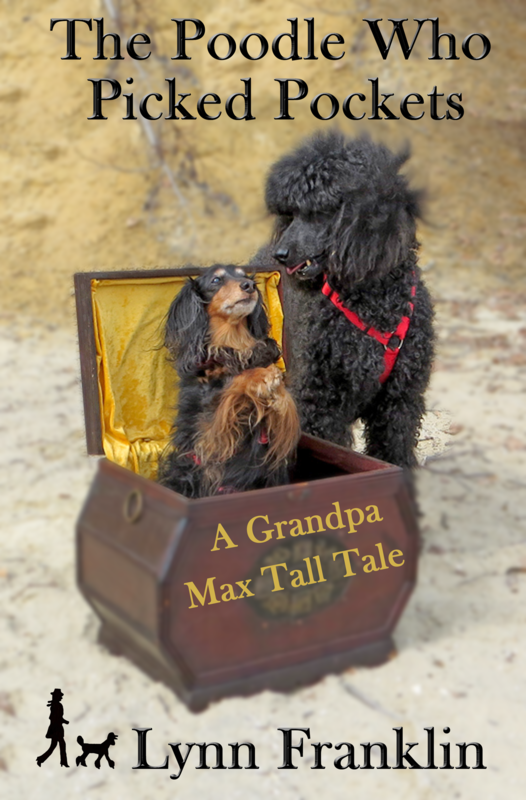 **Due to the high cost of shipping books, I can only offer paperbacks to U.S. residents. If the winner lives outside of the U.S., I will substitute a complete eBook set for you to keep or share with a friend.